In this article, Miles Sarill of CV Sciences analyzes the safety of CBD as well as the efficacy of single cannabinoids versus hemp extracts based on published research. The anxiety and drama surrounding the legislation and enforcement of hemp-derived cannabidiol (CBD) products almost rivals the excitement and celebration around the botanical’s current availability and use. Health food stores across the country operate as the “vanguards of access” in offering CBD to both the sick and well. The green goopy oils and gold softgel pearls may hold promise for the well-being of those who consume them, as well as in supporting the economy of an emergent cash crop with an array of agricultural uses. 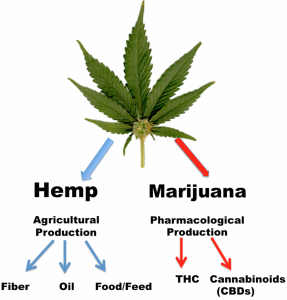 Hemp, on the other hand, is a well-regulated food and fiber crop grown all around the world, especially in the European Union (EU) to produce animal feed. The EU regulatory bodies strictly require cultivated agricultural hemp to contain very little THC, along with minute amounts of other cannabinoid compounds, including CBD. This “low-tech” method of growing fiber hemp for the extraction of its CBD content (with only obscure concentrations of psychotoxic/impairment-inducing THC) was predicted to be medically useful by Raphael Mechoulam, Ph.D., in 1987. Scientists and consumers alike are discovering how efficacious CBD appears to be both clinically and anecdotally. The use of hemp extracts has gained in popularity since the 2014 passage of the Farm Bill, which pronounced hemp to be an agricultural crop containing less than 0.3 percent THC by dry weight. Simultaneously, available CBD products are flying off the shelf in a craze partly fueled by the steady expansion of hemp’s restricted cousin, medical marijuana. Although hemp has 8,000 years of agricultural history, any good food scientist, policy wonk or judge is going to want to know the finished consumer products containing hemp are safe. Paracelsus is often credited with the maxim, “The dose makes the poison.” This may be especially true for CBD, where certain side effects are reported with huge doses of the compound. With big doses of CBD (at 10 to 20 mg/kg for an average person weighing 70 kg, a dose would deliver 700 to 1400 mg), adverse events including rash, somnolence (sleepiness), fatigue, diarrhea and elevated liver enzymes may occur. The aforementioned dose is the recommended serving for Epidiolex, a purified, plant-derived 99 percent CBD isolate/extract that FDA approved in June for treatment-resistant seizures. Most people are not going to be taking such high doses of CBD. (See https://www.accessdata.fda.gov/drugsatfda_docs/label/2018/210365lbl.pdf). Based roughly on the range of doses that PlusCBD Oil carries, as well as anecdotal experience, discomfort related to everyday activity and anxiety relief—the most popular uses for CBD dietary supplements—are reported to be well supported in servings between 5 and 15 mg of active CBD with a complex, broad spectrum of other phytocannabinoids, terpenes and flavonoids. The emergence of synthetic, “chemically identical” CBD in the marketplace has ushered in economically motivated adulteration of finished products claiming to be hemp-derived CBD. However, these synthetic congeners are actually stereoisomers with distinct chemical structures and bioactive responses at the cannabinoid receptors. A November 2017 report by the World Health Organization (WHO) stated “CBD is generally well tolerated with a good safety profile” and had little potential for drug abuse or addiction. The non-addictive effect of CBD observed in animal models is corroborated by both human clinical research and anecdotes. In fact, CBD has been used in the treatment of marijuana addiction at doses of around 18 mg in the patient.2 Whereas marijuana-derived THC potentiates dopaminergic signaling pathways demonstrated to amplify reward and addiction, CBD does not. A no observed adverse effect level (NOAEL) was determined in a 90-day rodent study in doses from 100 mg/kg bw/d (for males) to 360 mg/kg bw/d (for females). The study’s publication provided safety data that supported the hemp extract’s self-affirmed GRAS (generally recognized as safe) designation. The last study examining potential toxic effects of CBD was conducted in 1981.4 It claimed CBD promoted sperm motility issues, but the study contained methodological flaws that included use of monkeys at various stages of sexual maturity. Indeed, this report was produced prior to the adoption of Organisation of Economic Cooperation and Development (OECD) guidelines for 90-day repeated dose oral toxicity studies (1981) and GLP standards (1992). By contrast, in the previously mentioned 2018 toxicology report, no issues with sperm health were discovered at the NOAEL dose of CBD in a 90-day trial in rodents. Some individuals may be skeptical about the efficacy of a 15 mg CBD dose established through GRAS self-affirmation, since some clinical studies use higher concentrations. However, many of these studies use isolated 99 percent cannabidiol from hemp, whereas many commercial CBD manufacturers are using broad-spectrum hemp extracts containing other bioactive co-factors and phytochemicals. Hemp contains as many as 100 different cannabinoids and cannabinoid-like phytonutrients, along with terpenes and essential fatty acids. Luciano De Petrocellis from the Institute of Cybernetics in Italy and research colleagues found that, compared to isolated cannabinoids, CBD or other cannabinoids (such as CBC and CBG) in a base of hemp extract containing trace phytonutrients had greater biological diversity in the molecular targets it could interact with.5 This implies there is some synergy to be achieved between broad-spectrum hemp co-factors and CBD. Although high doses of isolated CBD may be useful as a drug for various disease treatments, a lower dose broad-spectrum hemp extract with CBD and other phytocannabinoids may still hold significant clinical application. This echoes the findings of Ruth Gallily and research colleagues from the Hebrew University of Jerusalem, who discovered isolated CBD produced a biphasic—or bell-shaped—dose response curve in a rodent model inflammation.6 Here, low doses produced an anti-inflammatory and anti-nociceptive effect. Paradoxically, higher doses reported diminishing effects limiting clinical efficacy. In contrast, a low-THC broad-spectrum cannabis extract containing CBD along with other phytonutrients and cannabinoids produced consistent anti-inflammatory effects in a dose-dependent manner. This reinforces the idea that there are synergistic or additive biological activities for cannabinoids in broad-spectrum hemp extracts. 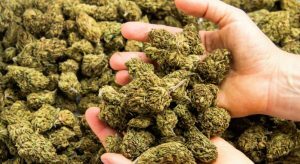 As cannabis and cannabinoid research continues to evolve, scientists may discover novel mechanisms of action for phytocannabinoids that mediate their emergent efficacy in managing chronic degenerative treatment-resistant diseases. The foundation for these findings must be adequate reports, rooted in competent and reliable scientific evidence, demonstrating the safety and efficacy of CBD and hemp products in daily human use. Passionate about natural wellness from a young age, Miles Sarill has always been fascinated by herbalism. 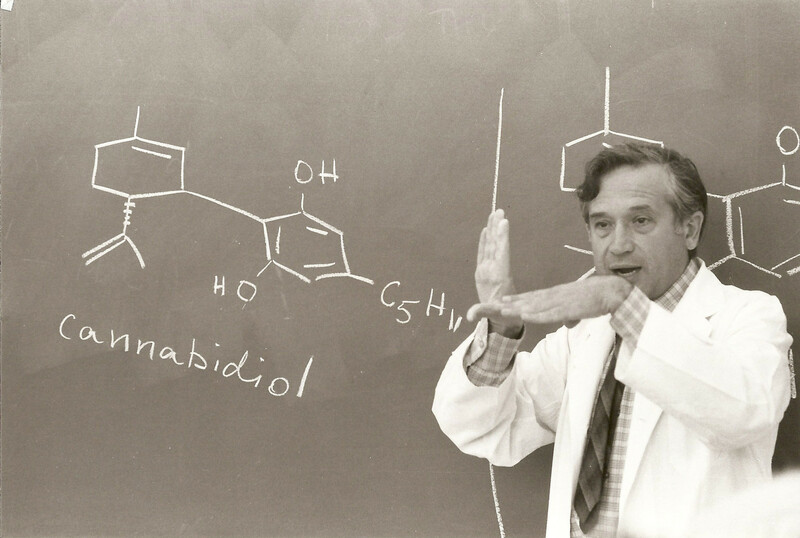 While finishing up his master’s degree in experimental medicine from McGill University, he worked as an educator at Cambridge Naturals, a natural health food store in Massachusetts and one of the first retailers to make hemp CBD products available to its community. Sarill now serves as a CV Sciences’ educator, sharing his passion and expertise on the use of phyotocannabinoids in health and wellness. Editor’s note: Looking for an in-depth look at the current landscape of CBD and strategies to mature it as an industry? Join us for the CBD and Hemp Extracts: How Do We Move Forward? workshop on Wednesday, Nov. 7, at SupplySide West 2018. This workshop is underwritten by CFH, CV Sciences, Elixinol, KGK Science, Neptune Wellness Solutions and RAD Extraction & Processing. Copyright 2016 Manichov.com - All rights reserved.